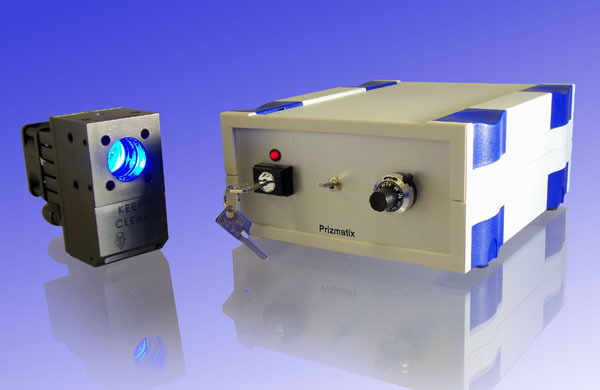 Prizmatix offers a range of modules for optogenetics in-vitro experiments starting from simple plug-and-go starter kits (Optogenetics LEDs) to modular Ultra High Power (UHP) LEDs enabling you to create customized single or multi-wavelength set-ups to suit your application. With speeds of better than millisecond-scale temporal precision, our LED light sources are exellent for dopsin activation and silencing. From light source to cannula and everything between, Prizmatix can provide all the components necessary for your research - including advice and guidance. Ultra High Power (UHP) Ultra High Power (UHP-T-EP) LEDs incorporate advanced electronics and optics designed for use in demanding Electrophysiology and Optogenetics applications. 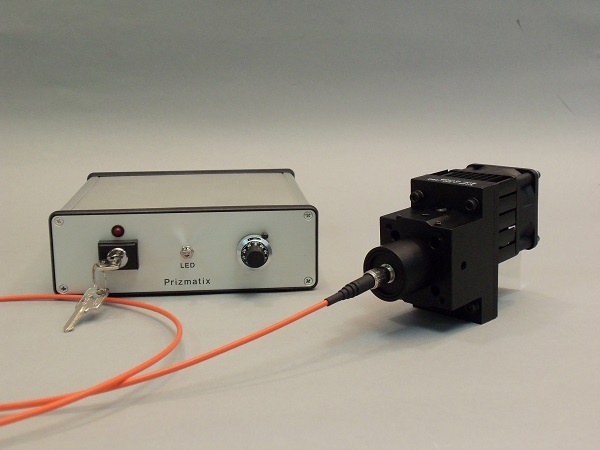 The UHP-T-EP (electrophysiology) features an ultra-high brightness single emitter LED (as opposed to LED array) optimized for both epifluorescence excitation and fiber coupled use. Compatible with Prizmatix’s Optiblock system, a single LED can be expanded to multi-wavelength or multi-output use with ease. 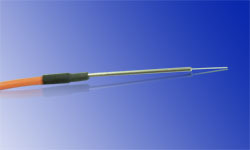 Sophisticated electronics eliminates virtually all EM/RF noise and may be used inside or near EP rigs without shielding. The UHP-T LED driver includes TTL and Analog input as standard features. The TTL input is ideal for fast switching with a rise/fall time of microseconds, exceeding the required millisecond speed of most Optogenetics applications. 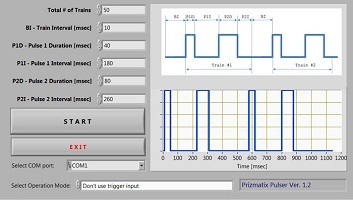 Analog input allows for software control of intensity using a 0-5v signal. Available in Blue for Chr2 and CHETA, Green for Arch and ArchT, Red and Red-Amber for eNpHR3.0 and in UV/Violet for Uncaging. 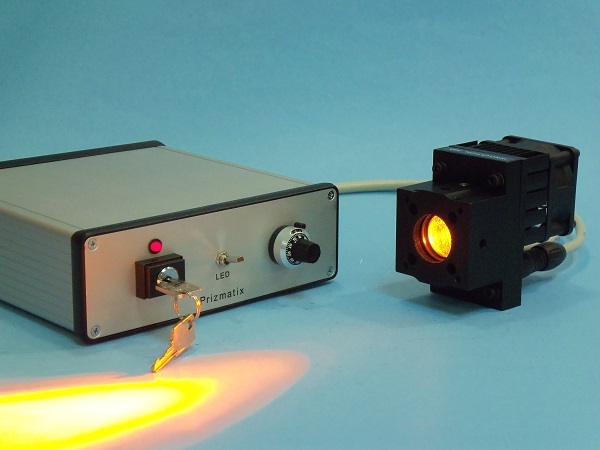 The Beam Combiner can join two discrete UHP-LEDs into one output beam, which can then be coupled to a microscope or an optical fiber. 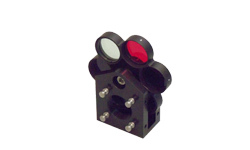 For increased versatility, additional optical filters can be installed at the input or the output ports of the Beam Combiner. Prizmatix offers a wide range of standard and customized multi-mode silica / polymer fibers as well as ferrules for optogenetics research. 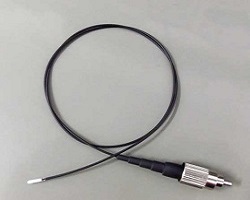 A Y-shaped fiber bundle is especially useful, offering the option to activate two brain hemispheres simultaneously: a 1000μm or 1500μm fiber is coupled to the LED and connected to a rotary joint. From the joint’s other side emerge two thin fibers which can then be connected to two separate ferrules. The light from the LED is divided equally between the two hemispheres without any loss of power. 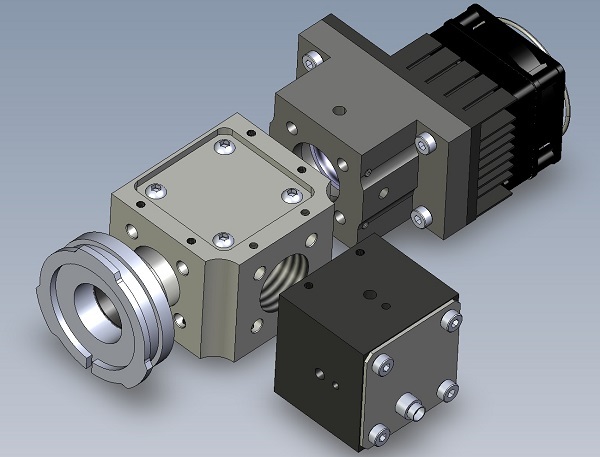 Prizmatix's Rotary Joint is specially designed for Optogenetics experiments with High NA detachable fibers equipped with FC connectors. Rotary Joint's extremely low friction and smooth swivel operation are demonstrated in this video - showing continuous rotation for over 30 seconds after a fingertip start-up. 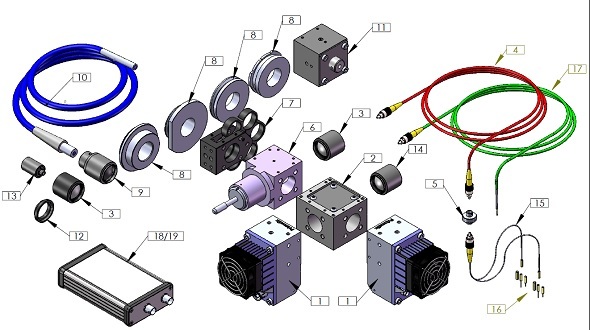 The torque required for free movement is very low thus reducing the Rotary Joint's behavioral effect on free moving animals, making it suitable for even the smallest rodents. 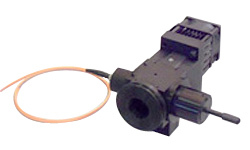 Prizmatix Rotary Joint can be used with single or multiple output fibers simultaneously, enabling concurrent delivery of light to separate areas of the brain without loss of power or brightness. See more.. 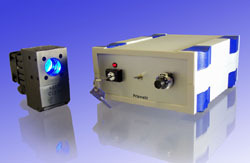 The Beam Switcher accessory allows for Prizmatix LEDs installed on a microscope to be used either as microscope epi-fluorescence illumination or illuminating a specimen via a fiberoptic probe. Especially useful for in-situ Optogenetics studies, the Beam Switcher saves cost, space and allows maximum flexibility in experiment design. 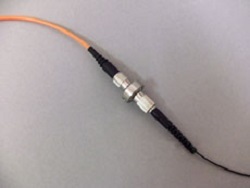 See more..
Use these adaptors to connect Prizmatix LED light sources to the most widely used microscopes. 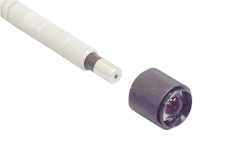 Adaptors for epi-fluorescence ports of Nikon, Zeiss, Olympus and Leica microscopes are available. 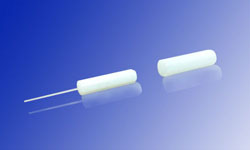 The UHP-LEDs can be easily changed from direct microscope coupling to Liquid Light Gide (LLG) coupled using this Adaptor. 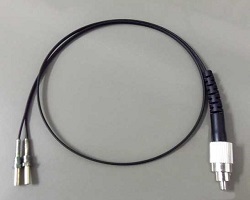 This adaptor can be without difficulty assembled by the user on the UHP-LED output. Please see video clip for more details. 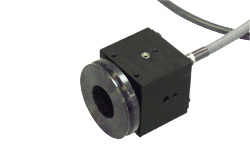 The Prizmatix LLG collimator is an XYZ adjustable collimator for Liquid Light Guide (LLG) with adaptor for the epi-illumination port of fluorescence microscopes. 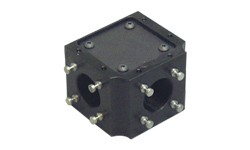 This collimator can be equipped with Nikon, Olympus, Zeiss or Leica adaptors. 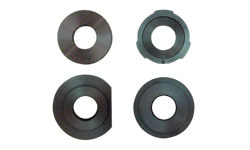 A standard C-mount thread adaptor (1-32 UN 2A thread), usually used to connect to trinocular microscopes. Collimators are required to generate a parallel beam of light out of the naturally diverging light emission from an optical fiber. 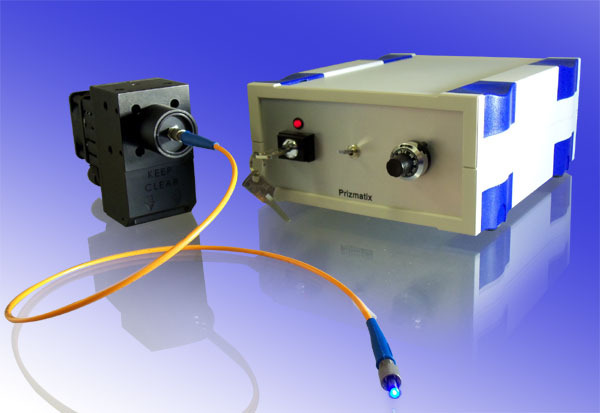 Prizmatix collimator is designed to collimate High NA fibers (up to 0.53), such as Hard Polymer Clad fibers and Polymer Optical Fibers (POFs). 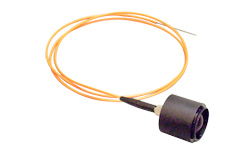 Prizmatix reference photodiode is useful in order to monitor LED source power over time in experiments required exceptional stability over long time period. The photodiode signal can be used to normalize measurements; alternatively the photodiode signal can serve as a feedback signal to stabilize the LED power. 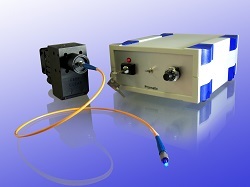 See more..
Prizmatix provides a full solution to the optogenetics in vivo and in vitro fiber optics. 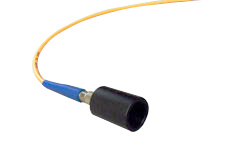 Made of silica or polymer fibers, the high NA fibers are assembled to fit any research set-up with various combinations of connectors, ferrules, core diameters and lengths. Some examples are Y-shaped fibers for simultaneous in-vivo stimulation of two hemispheres, and fibers with stainless steel tip with protruding bare fibers for in-vitro activation of brain slices under a microscope.